Sept. 7, 2017, 11:57 a.m. The newly pivoted Purple, now in private beta, is aimed largely at journalists with large personal followings on social media already. By Shan Wang @shansquared Sept. 7, 2017, 11:57 a.m. It turns out text messaging is better than Facebook Messenger for the type and frequency of news and information the news startup Purple wanted to deliver to its phone-toting audiences. “I think being in the Messenger ecosystem makes it much easier for people to share Purple and to share really interesting and important content that we’re talking about [on Purple] with their friends,” Rebecca Harris, Purple CEO and cofounder, had told the Lab last summer. The service saw some success: Its November 2016 election coverage channel, handled by Harris, grew to around 18,000 subscribers across its text messaging and Facebook Messenger distribution options. 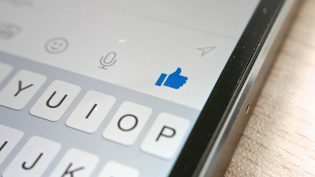 Now, it’s leaving its Facebook Messenger offering by the wayside, and refocusing on building out its text messaging platform for individual creators, who set a fee for subscribers to their text channel — something of a stripped-down Patreon, based in SMS. Purple had decided to shift most of its services to Facebook for cost and technical reasons, but then it saw Messenger become a vast space littered with various impersonal bots. The new Purple service, now in private beta, is aimed largely at journalists with large personal followings on social media already. After beta testing, the platform will open up to anyone interested in creating a channel for paying subscribers — creators set their own prices starting from $3 per month — and readers come to the platform to search for people they want to follow and financially support. A portion of that potential revenue goes to covering messaging costs and fees for the payment system Stripe, which Purple uses to process subscriptions; creators will likely end up with about 60 to 70 percent of the money their readers pay, according to Harris. Cofounder David Heimann built the rest of the platform in-house. One channel has already launched: a $5-per-month news alert service run by one of the original members of the Breaking News team (before it was sold to, then eventually shut down by, NBC News). Purple had reached out to Al Boe and his team to start a channel for breaking news updates, Boe said — plus he was already a past Purple user. For the price, his subscribers get around five “can’t miss” news alerts, with customization options to come, and direct access via text to the news service staff. The price is based on “what I had been charging for a premium type of service that I was handling through Patreon,” according to Boe, and he also shifted his Patreon supporters over to Purple. Purple’s platform collects all the texts users send and displays them in a dedicated Slack, from which creators can track and respond to all incoming questions. The platform also tracks analytics like churn, retention rate, clickthrough rates of links, and will work with beta testers to figure out what other tools they might like to have on the backend. POSTED Sept. 7, 2017, 11:57 a.m.
Wang, Shan. 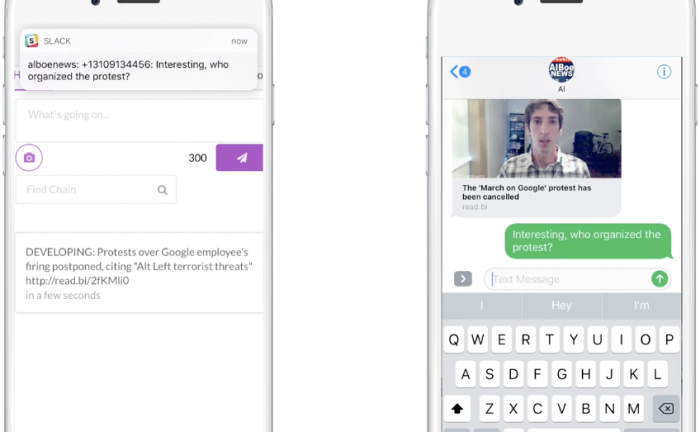 "News startup Purple is now a service that lets creators charge people to text with them." Nieman Journalism Lab. Nieman Foundation for Journalism at Harvard, 7 Sep. 2017. Web. 19 Apr. 2019. Wang, Shan. 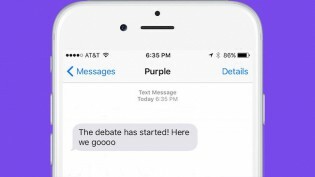 "News startup Purple is now a service that lets creators charge people to text with them." Nieman Journalism Lab. Last modified September 7, 2017. Accessed April 19, 2019. https://www.niemanlab.org/2017/09/news-startup-purple-is-now-a-service-that-lets-creators-charge-people-to-text-with-them/.